So I want to color just the anchors itself. When I try to do it , it fills in the inside of the circles,diamond, and lower diamondish portion. Help!! @allthingsknotical ; - Welcome to the Make The Cut! software forum. We support users who are using the software Make The Cut! with their cutters. 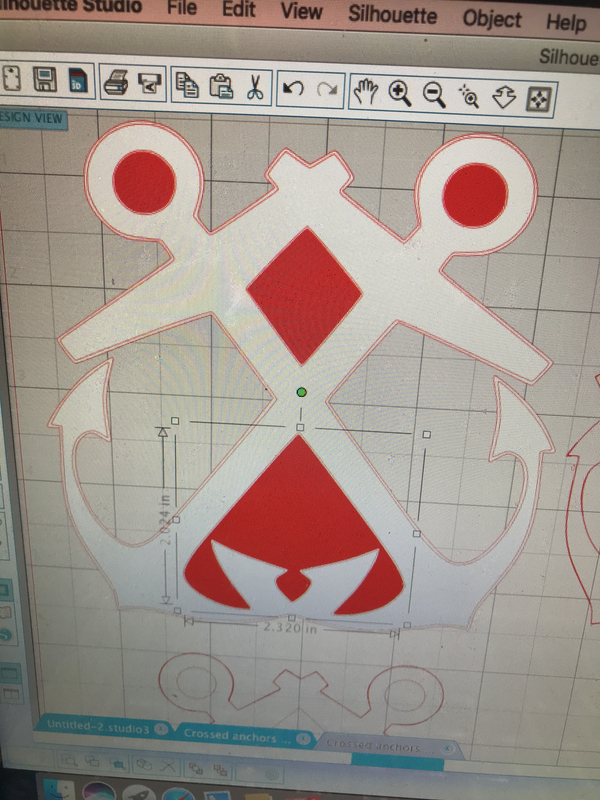 You'll have to isolate the anchor from the other pieces that are connected. Don't know how to do that in Silhouette Studio, but look for a tool that looks like a pencil and draw lines where needed to isolate the anchor. You will have to also tell it cut inner shapes. The darker red line shows that just the outer edge cuts, I do believe. It would appear the anchor shape may not be a closed path and therefore can not be filled. 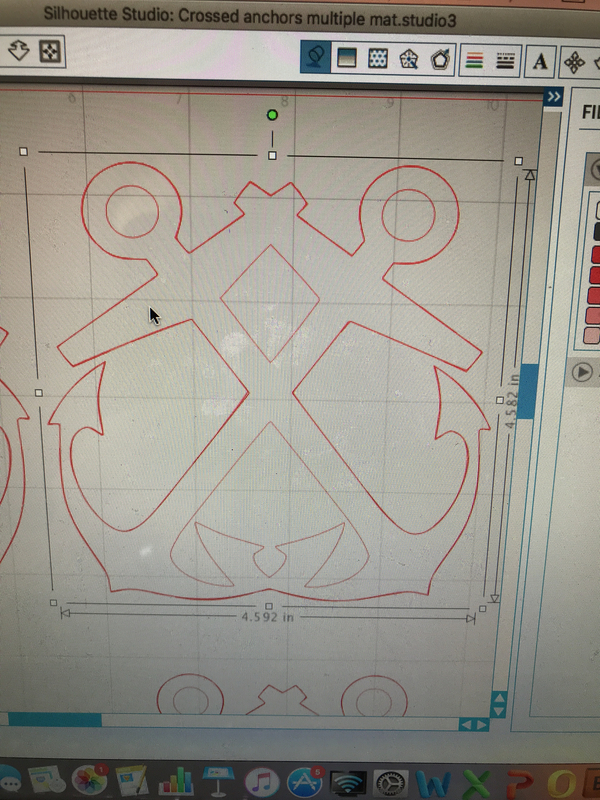 Once the anchor is a closed path you should be able to subtract the circle and the diamond from the anchor shape and then add fill.